The Indian Test captain, will be rapping a small portion of the official anthem of the Premier Futsal League. The anthem is being composed by A. R. Rahman, who had recently joined Salman Khan and Sachin Tendulkar as a goodwill ambassador for the Rio Olympics. “The lyrics for this song are in English, and we’ve been working on it for a week now – not sure how it’ll turn out yet! 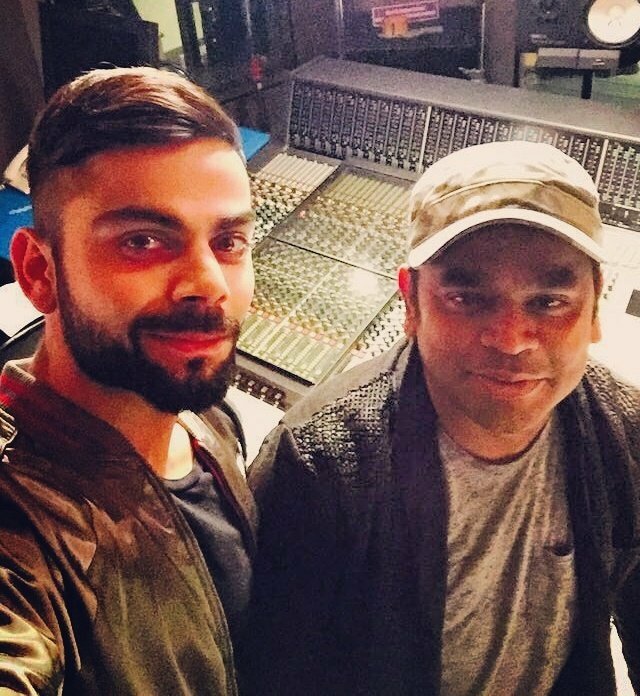 The track isn’t all rap though, it’ll have a mixture of other elements as well,” Rahman said. Kohli, who was the top scorer in the recently concluded IPL, is quite tensed. “Many of my childhood memories have a connection to the tunes of this man. I know how to prepare for cricket, but I have no clue about a recording session,” Kohli said. “During any cricket game, the only song that gets everyone together is Vande Maataram – the version Rahman composed,” said Kohli, whose favourite singer is Arijit Singh. Futsal is a shorter and quicker version of football. The five-a-side matches are usually played indoors. It is very popular in Europe and South America. We are waiting to see how will Virat Kohli sound on the track.